Spring 2013 was what I thought was going to be my most difficult quarter at UW. It was the first quarter where I was truly living the "Pre-med experience" as I tackled MATH 126, BIOL 180, and CHEM 162. And yet oddly enough, it was probably the quarter where I was the least stressed and the most happy. Maybe it was the great weather or the fact that I could watch "Game of Thrones" for free (legally, I might add, through UW), but even though I had just as much as in Winter 2013, I found my rhythm early and the work just kind of went away without too much trouble. Aside from the work, prior to starting the quarter I thought the subject matter itself was going to kill me. I was delving into uncharted territory in MATH 126, and I was unsure whether my success in the prior two math courses had been because of my exposure in high school or because I was genuinely good at it. Luckily, it seemed that I had a knack for math, because I ended up doing fairly well in the class. In addition to those mathematical uncertainties was the monster of fear and doom that is Biology. I had never taken Biology in high school and I was really scared that I would be too stupid for Biol 180. But once again I was surprised to find that I had an affinity for Biology, and I really love the material (which is a huge relief considering I have this teensy-weensy dream of becoming a doctor some day). So that brings my first year at UW to a stunning conclusion. I'm really happy with everything I've accomplished this year, and all the wonderful people I met. If there are a few things I could change, it would definitely be getting more involved in various activities, rather than just focusing on one extracurricular activity (Jumpstart). I think research would be a great thing to start, I would love to join a film club to hone my skills and work with people who I can learn from, and Pipeline would be a great place to volunteer. All in all though, I'm so happy that I fit right in at UW, it immediately felt like a place I could call home, and I am thrilled to come back in Fall 2013. 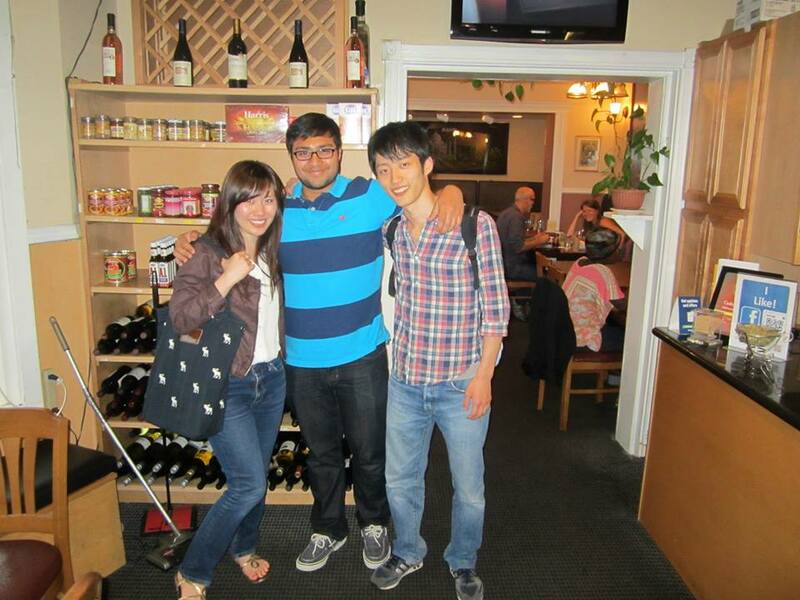 My super awesome exchange student friends from Japan, Emi and Shin. I'm gonna miss them...and an excuse to go eat out every now and then.